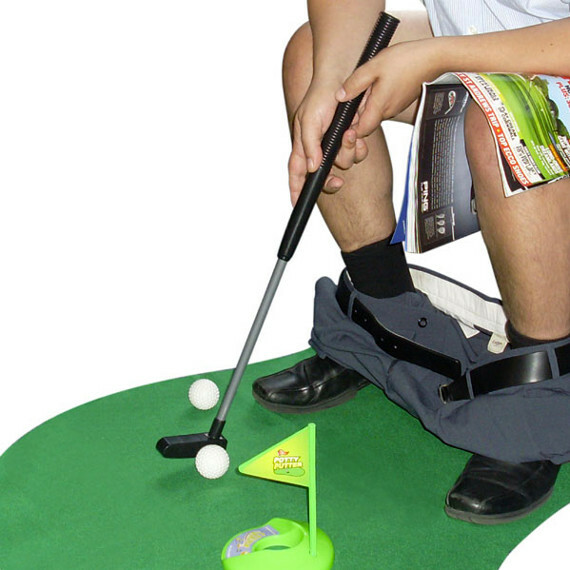 The Potty Putter is here to not only make your time in the bathroom more enjoyable but to also improve your golf game. This hysterically fun bathroom game is all you need to become the Tiger Woods of the Toilet. As you’re sitting there doing your thing, just grab a putter line up the shot and try to make it into the hole. This is one of the greatest gag gifts we have found to give to the golfer in your life.